Lebanon’s new government on Thursday approved a policy statement committing to reforms that are seen as critical to putting the heavily indebted state’s finances on a sustainable path. 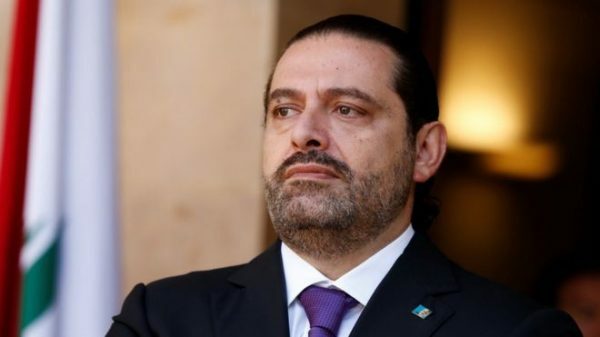 The statement sets the main policy objectives of Prime Minister Saad al-Hariri’s national unity government, formed last week after nine months of wrangling over cabinet portfolios. A draft of the statement seen by Reuters on Wednesday said the government would launch fast and effective reforms that could be “difficult and painful” to avoid a worsening of economic, financial and social conditions. Information Minister Jamal Jarrah said on Thursday the government policy statement had been approved with amendments in “phrasing more than essence”. It was drafted by a ministerial committee drawn from all the main factions. Lebanon has one of the highest public debt-to-GDP ratios in the world, at around 150 percent. Hariri aims to use the funds, mostly soft loans, for a capital investment program that would boost low growth. Lebanon’s economy has been hit by factors including years of regional turmoil, such as the war in Syria. Hariri’s government includes the heavily armed, Iran-backed group Hezbollah, which is deemed a terrorist group by the United States. Hezbollah has expanded its sway in the government, notably through naming the health minister. “We demanded placing the strategic decisions exclusively in the hands of the state and our demand was recorded without being added to the Statement,” Social Affairs Minister Richard Kouyoumjian of the Lebanese Forces said after the session. Deputy Premier Ghassan Hasbani of the LF meanwhile said his party’s ministers objected to the failure to add the phrase “within the state’s legitimate institutions” to a clause related to resisting Israel. “We have asked for limiting the defense strategy to the Lebanese armed forces exclusively, but of course this has not been accepted,” Chidiac added. Speaker Nabih Berri is expected to call for parliamentary confidence sessions on Tuesday and Wednesday. “As of the 2019 state budget, Lebanon is committed to conducting a financial rectification with a rate of 1% over a period of five years through boosting revenues and slashing expenditure, starting by Electricite du Liban’s annual deficit which would be eventually totally eliminated,” LBCI quoted the government as saying in the statement.